I attended a yoga class this morning with a new friend. She is a retired teacher who has worked in Montessori schools. When it comes to education and children we are totally on the same wavelength. It's a nice feeling when you are on the same wavelength as someone else. Parenting can be difficult and it is even harder if you don't have a support team, a network, a tribe that you can rely on. It's difficult when you can't find anyone on your wavelength. It's difficult when your friends and family parent differently to you. It can be very isolating and lonely. I have been criticised for the way I parent, we all probably have at some stage. But it's nice to have a people you can talk to who will support you and back you, who will make you feel normal and accepted. Like minded friends also inspire me. It doesn't have to be about Montessori, it can be about finding new art materials or recipes to try with the kids. We encourage each other and give each other new ideas. We bring out the best in each other. But what about you? Do you have a good support network? Do you have like minded friends? Do you have a place to go to vent, to ask questions, to discuss all things Montessori? From some of the emails I receive I feel that this sense of community is missing in some people's lives. So I thought I would share a little about how I have found and where we can look for people to form our Montessori tribe. I know the biggest supporters for me as a parent and as a Montessori parent are from our school. The teachers we are close to are in our Montessori tribe. 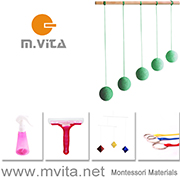 I wouldn't hesitate to call, email to discuss anything Montessori/child related. When my boys were younger our Montessori parent/toddler guide was the best resource and supporter, everything from sleep to weaning to toilet training. I would give her an update and ask for more advice every single week. Other Montessori parents can be a great support. No doubt there are parents at our school/s who have no interest in Montessori in the home. However over time I have established which parents have that real passion and it's always really good to talk to them about their struggles and share what is going on in our home. I know it's can be extremely hard especially if you don't have a good support network through your school, where do you find like minded people? Online. One of my closest friends and the number one person I go to for all things Montessori is in WA, I met her online. It sounds unusual but I don't think it is anymore. We make long phone calls, and text, and FaceTime, and email. It's not about geography, it's that I can talk to her and she knows exactly where I am coming from. I am in regular contact with some blog readers (and other bloggers) and I feel that I form a part of their tribe. There are also online forums and Facebook groups, which can be a fantastic place to find like minded people. Don't be afraid to reach out. 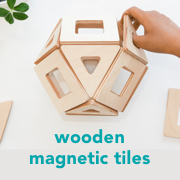 I think there is a good Montessori support network on Instagram. By simply liking someone's post it's a sign that you support them. It's like saying well done I like what you are doing here. If you are looking for people to follow just search the term or hashtag Montessori and you will find lots of like minded people. There are also a few leaders in the Montessori community. There are authors and public speakers, there are public figures. Look out for speaking engagements or information sessions in your community. If you connect with figures, reach out and ask your questions, you might find a new supporter another member for your Montessori tribe. I don't want anyone who parents in a Montessori way to feel alone, we are here, we have struggled, we may be struggling right now, we support you.